The 4-star hotel offers individual and exclusive furnished rooms and Serviced Apartments, which are partially equipped with a roof garden or balcony. The Serviced Apartments are equipped with a fully furnished kitchen or kitchenette in order for you to cook for yourself during your stay. 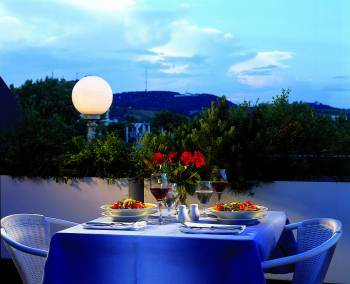 The hotel in Vienna is situated in the prestigious area of Wien-Döbling. The 19th district has long been the preferred location for embassies and a is a smart residential area. Our comfortable 4-star house offers 3 conference rooms with space for up to 80 people. The conference rooms with bright daylight and parquet flooring offers modern convention facilities and our team will guarantee a successful event.